-SHADOW DEVICE: The Shadowtech device installed in the Warlock destroyers was never fully explained. That said, it makes a good plot device for any GM to use at any time to throw a kink in players' best laid plans. Any time something goes wrong for no apparent reason, it may be this device. For that matter, any time something goes right, it could also be because of this device. For a basic rule of thumb, any time players using the Warlock roll a 1 or 6 on a wild die, the Shadowtech device could make the penalty or bonus much worse or better than it otherwise would be. Penalties resulting in damage with a time factor could last much longer or take longer to fix. Also, a very high success could be a problem as well. For instance, a fired weapon rolling much higher in damage due to an unexplained power spike could not only destroy or shoot through the target aimed at, but hit a friendly target on the other side as well. All in all, the Shadowtech device could open the door for many ideas for the GM, including a quest to have it removed for good like the EAS Titans did. The Warlock's jump engines may be used once every two rounds for entering or exiting Hyperspace. Previous Earth Alliance ships (and many other ships of different races) must wait before using their jump engines again, around a minute more or less (around 10 rounds). -HYBRID GRAVITIC ENGINES: This ship has standard propulsion that starts at Space Speed 4. The Gravitic hybrid portion allows this ship to increase its Space Speed at +1 per minute, to a maximum of Space Speed 8. Maneuverability also starts at 1D and increases at +1 per minute (10 rounds) to a maximum od 2D+1. Speed and Maneuverability beyond this may be possible, but any maneuvers performed will incur Dex checks against Moderate Difficulty (failure results in 4D damage). For every Speed/Maneuverability increase of +1 past 8/2D+1, the Difficulty will increase by 1 level (+5), up to Heroic Difficulty at Space Speed 12/Maneuverability 3D+2, with the damage increasing by +1D at each Difficulty increase (8D at Space Speed 12!). "Only a handful of Warlocks have come out of the construction line, so far." The Warlock-class destroyer is an advanced warship design produced by the Earth Alliance. Rushed into production during the last days of the Earth Alliance Civil War, the Warlock-class destroyer incorporates some of the most advanced technology available. 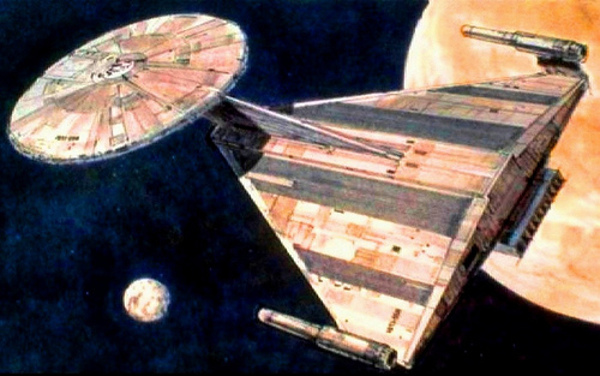 It was the first Earth Alliance ship to feature artificial gravity without rotating sections. This allowed designers to greatly improve the Warlock's design. Among these improvements was the Warlock having greater speed and maneuverability compared to the older Omega-class destroyers. In addition to human technology, an unknown Shadow device is buried somewhere in the Warlock's control systems. The exact purpose and function of this device is unclear, though the only vessel known to have overridden its influence was the EAS Titans, under the command of Captain Susan Ivanova. The Warlock's conventional particle thrust engines are supplemented by a pair of hybrid gravitic engines that, like the artificial gravity systems, are based on Minbari technology and propulsion theory but are designed and manufactured using Earth-based materials. The EAS Foxfire was able to jump out and back in hyperspace very quickly. Previous EAS ships could not do so as it would strain the jump engines. The ship's primary sensor, navigation, and communications suite is located on the bow of the ship and includes a set of retractable panels that allow the ship to travel further off the beacons and thus extend the ship's operational range beyond that of older designs. The weapons systems aboard the Warlock feature a wide variety of offensive and defensive emplacements that include standard plasma cannons, railguns, and missiles. Perhaps the most notable armament is a pair of particle beam cannons originally designed for use on the Aegis orbital defense platforms that formed Earth's planetary defense grid. 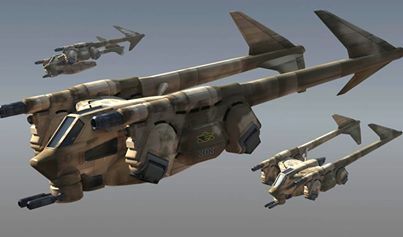 Prior to the development of the Warlock, the power requirements of these weapons were so high that only dedicated stationary platforms could accommodate them, and then only one unit per platform. Installing the cannons aboard the Warlock enabled a ship of the class to destroy multiple Drakh vessels with one shot each at the start of the Drakh War, and another to destroy a Centauri Primus class battlecruiser with a single shot in a possible future battle. The ability to use such powerful weapons allows the Warlock to take on ships from advanced races like Minbari with ease. Warlock ships are also armed with weapons found on older classes of Earthforce ships, including nine heavy phased plasma cannon turrets of a similar type as was used aboard the older Nova-class dreadnoughts, four 40mm pulse cannons similar to those mounted on the Omega-class destroyer, and twelve to sixteen short-range phased plasma turrets of the same type installed on the older Olympus-class corvette. The primary launch bay is located on the bow of the ship, between the main sensor boom and the particle beam cannons. The ship's Starfury/Thunderbolt squadrons are launched from here, in a fashion similar to that on the Omega-class. However, unlike the Omega, the Warlock includes a blast door to prevent the bay from scooping up debris in the ship's path, in addition to a separate recovery bay, located amidships on the starboard side. The forward bay is used for fighters only, and so shuttles and other craft must use the recovery bay to access the Warlock's internal docking areas. Opposite the recovery bay on the port side is the bay's maintenance and repair shops, while running along the lower flanks of the hull are a series of cargo and ordinance airlocks. The Warlock class destroyer was designed by Tim Earls. The Warlock was originally designed as a much flatter ship, which was changed at the suggestion of John Copeland and so Earls re-dubbed his original concept the "Trafalgar class Mobile Strategic Operations Platform". Since the series makes it very clear that Earth had not yet developed artificial gravity, the Warlock was probably designed at first to operate with a weightless crew. Artificial gravity was presumably retrofitted into the design after Earth joined the ISA and the technology was made available. I did the best I could on the Warlock. I'm happy with the result. All in all, the Warlock seemed like a powerful ship that just happened to be the result of the Earthforces slapping together the best tech they got their hands on with every weapon in their space military's history that was ever somewhat effective. 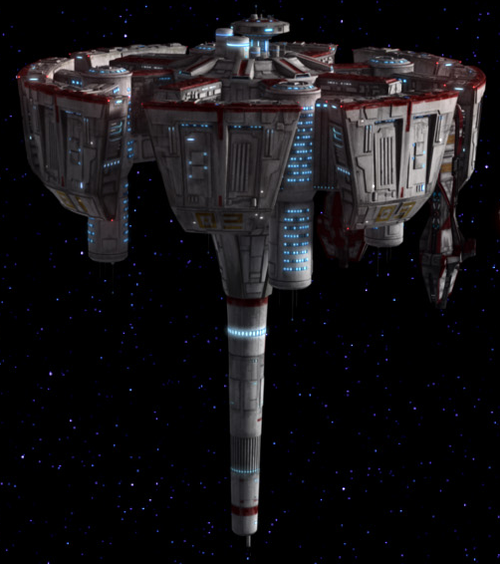 While can seem like a mish-mash, especcially since the Warlock's antigravity systems and hybrid gravimetric drives were retrofitted into the design after the fact, the ship is in fact quite powerful, an overall improvement compared to the Omega destroyer, and its wide variety of weaponry gives it much versatility in space combat. I'm not completely certain on how I did up the weapons. This is the only second guessing I have, mostly due to a lack of knowledge. Not only about this ship and its weapons, but of the other ships its weapons are pulled from. many of these weapons were mentioned as different from other kinds, where I had made many of these weapons the same or similar in other Earthforce write-ups. So, all in all, I guess this would be a simplified version. GMs, feel free to change things up as desired! Love it - keep these coming! Love the adaptation to the new gravitic drive rules. Take THAT D6 Holocron! I mean, um, yes, certainly, thank you, will do! Any requests while I'm at it? Oh cool, nice to see you around! Came across D6 Holocron last year. For the most part, I liked the stuff there, and it made a good resource for lots of stats. My favorite was the firearms section (me and a friend had debated a long time on firearms). The only issue I had was seeing some of my write ups there, like ships from The Last Starfighter. I was glad to see them elsewhere, but no one ever gave me/us (Freddy) a heads up on it as far as I knew. That's the only negative thought I had. Otherwise, it's a great site. Might need to give you a run for the money on Halo ships someday though ;). Btw, if anyone can point me to some more, newer Bsbylon 5 Earthforce ships, I'd appreciate it. 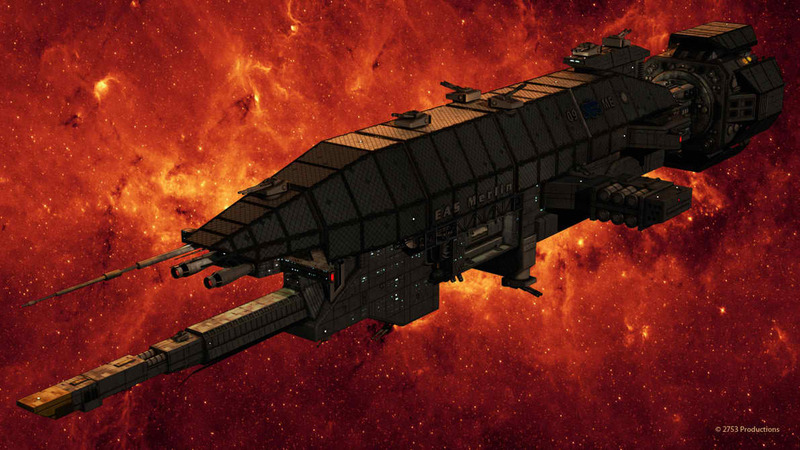 I came across a pic of a Babylon 6 that had a Warlock and two other new classes of ship in it, one other being an Artenis Class Cruiser. Didn't know what the other ship was. i also did the write up for the firearms. way too much math in that one. regarding the stuff we got on the site from here, well thats been there since 2010 since the owner of the site got permission way back then, before we moved the site and changed formats. regarding the new babylon 5 stuff: ive looked for new stuff too and i can only find unofficial stuff. 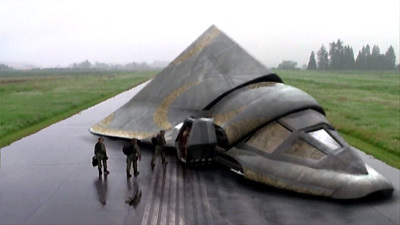 watched everything babylon 5 i could download/stream. oh and some of the halo stuff is from you guys as i recall, i did a ship and race write up awhile back after we had your guys' stuff there. but seeing as how the ships we got from you guys were written up before anyone started really getting actual stats for it, it wasnt quite right. and to avoid altering something i didnt create i just and created my own thing. i did that with a few things we had gotten from you guys. youre more than welcome to drop me a line on the holocron under the same user name, or check us out on facebook.